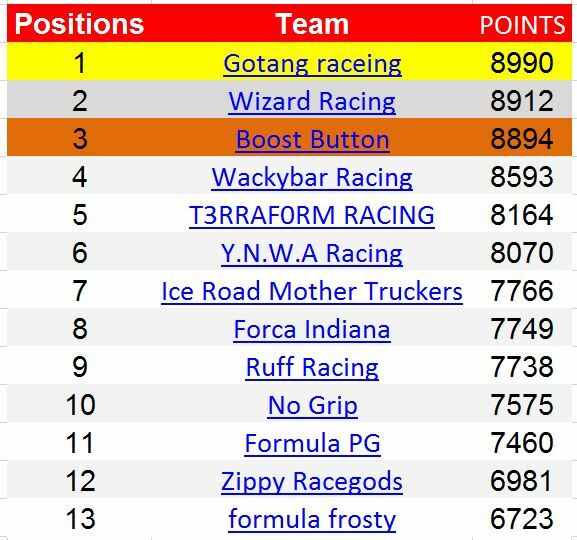 Here are the final standings for the 2nd Ruff Gaming F1 Fantasy Championship. Jeez, that's a bit big . .
Anyways, congratulations to Gotang . . yet again and a £10 Xbox voucher will be on his way shortly. I, like many others I imagine, had completely forgot about this and yet it was still very close in the end.